A challenging role with Vanderlande will help you to develop your career and satisfy your ambitions. We are the global leaders for value-added logistic process automation at airports and in the parcel market, as well as a leading supplier of process automation solutions for warehouses. Our systems are operational at more than 600 airports – including 13 of the world’s top 20 – the world’s leading parcel companies, and many of the largest global e-commerce players. Established in 1949, Vanderlande employs more than 5,600 people in more than 100 countries, all committed to moving our customers’ businesses forward. With a consistently increasing turnover of more than 1,1 billion euros, we have achieved a global reputation over the past six decades as a highly reliable partner for value-added logistic process automation. Our unique capabilities include integrating hardware, software and services into tailor-made solutions. The result is a distinctive track record in innovation, reliability and partnership. Our global presence provides an unrivalled 100 site-based teams, who ensure that our customers enjoy an optimum level of performance, 24/7. By putting yourself on the fast-track to global opportunities, you will have a direct impact on improving the competitiveness of our customers, including some of the world’s most valuable brands. As an integral part of our team, you must be driven to succeed together in the delivery of tangible, innovative products and unparalleled levels of service through an expanding international network. In this world of technology, we believe in people – especially those who challenge themselves to take ownership and responsibility, as well as being totally dedicated, customer-driven and always having the ambition to learn. As such, we actively promote an atmosphere in which your long-term career outlook is supported. This is embraced by the Vanderlande Academy and International Talent Development programmes, with over 800 courses conducted every year. Our people set the highest possible standards, and are connected globally as part of our culture. Through building strong relationships, the focus is on freedom while being trusted to deliver – one of the reasons why Vanderlande was Best Employer in The Netherlands in 2016 and 2017. 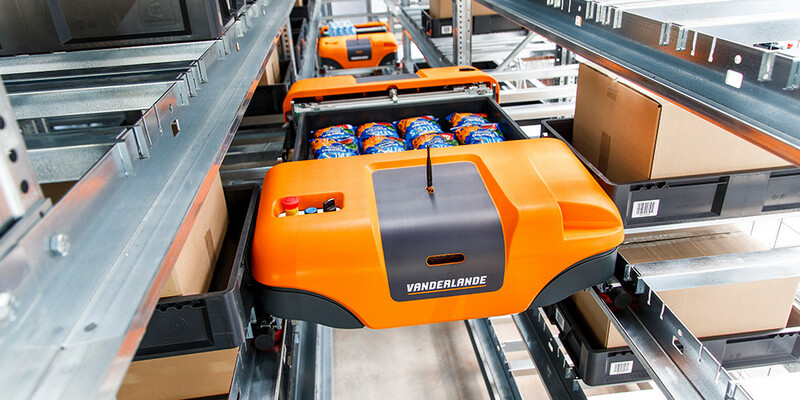 Our teamwork embraces the true entrepreneurial spirit of Vanderlande, which gives us the determination to exceed our customers’ expectations, be creative in our approach and committed to getting the job done. If you’re ambitious and take your long-term career seriously, then please contact us to set these challenges in motion. So, are you looking for complex challenges, responsibility and an international career? At Vanderlande team spirit and a sense of responsibility - for the project and for your colleagues - come first. This directly affects the corporate culture that characterises our company. Openness, honesty, the willingness to share knowledge and experiences, working and thinking with a pragmatic and result-oriented point of view are the keywords. In a world of technology, we believe in the power of the people! And we believe in you as an intern, a graduate and a starter because you are the future of Vanderlande. We offer you a varied and fascinating job in a multidisciplinary team working environment, the chance to do great projects with interesting customers all over the world and the time to expand your knowledge and deepen your skills. Interesting in working with us or doing an internship? Please visit our career website for all internships, thesis assignments and jobs. Are you interested in a job or internship at Vanderlande Industries? Submit you application on the website or send an email to internship@vanderlande.com. For more information regarding to vacancies or internships, contact recruitment, +31 413 495 288.